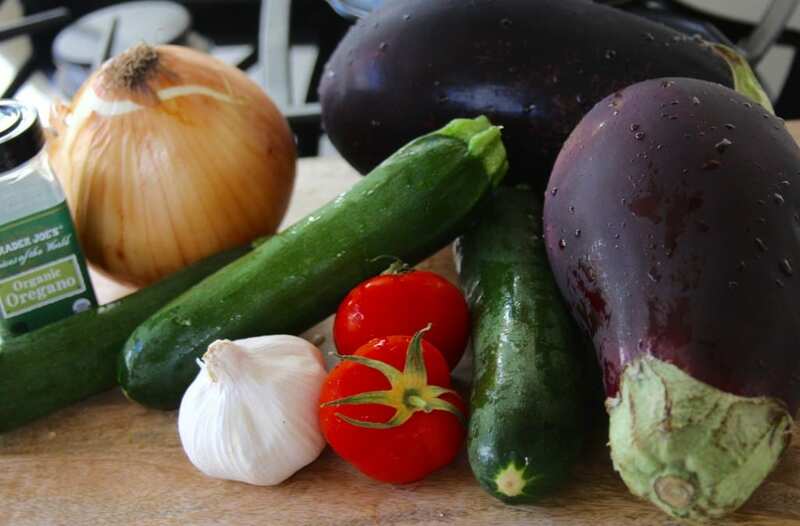 This Light & Easy Ratatouille recipe does not come from the kitchens of Paris. It comes from the sweet memories I have of cooking with my mom. I can still see her mincing the garlic and telling me that minced garlic is much better over crushed for this dish. With her guidance I would be the watchful eye over the eggplant and zucchini, making sure they were steamed to just the right tenderness. Her voice still rings like music in my ear telling me that it was important to let the steamed veggies cool enough that it doesn’t cook the tomatoes. I see her cutting the tomatoes, lining them up on the cutting board and getting them ready for their sprinkling of salt and pepper. I don’t know if she ever wrote this recipe down but thank God the memory is still so ingrained in me. 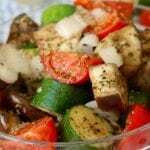 This Light & Easy Ratatouille recipe is in no way traditional but it is however a flavorful way to use summer veggies. For me it is filled with fond memories of my mom and I spending time together. If you are able to get your hands on a steaming pot that has multiple baskets, it allows you to cook several items at once. Dinner prep just became a little easier. To enhance the flavors of the garlic and oregano, place one layer of veggies in bottom of steaming basket. 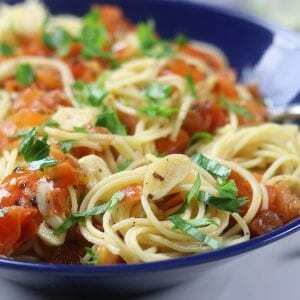 Sprinkle with minced garlic and oregano crushed between your hands. Cover with another layer of veggies and repeat steps. Make sure to cook veggies to about 80% doneness and let cool. As they cool they will continue to cook while cooling. Salt and pepper the tomatoes and mix with the eggplant mixture. You will have a Summery and extremely healthy side dish to go with chicken or fish. Hey balsamic lovers, want to know a secret? Shhh… don’t tell anyone, but if you drizzle some balsamic reduction over the veggies you will have a dance party in your mouth. For the balsamic reduction recipe and another great veggie dish, check out Bruschetta with Balsamic Reduction. 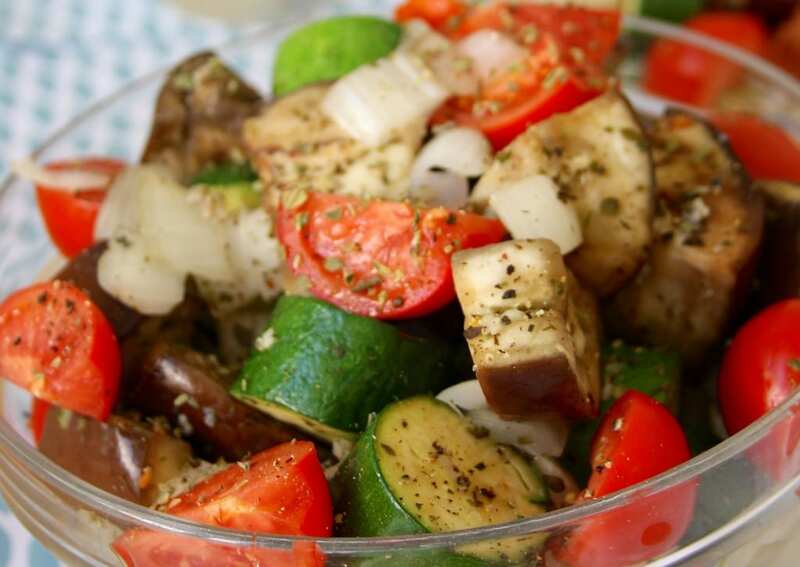 A light and easy veggie side dish that is full of flavor. Mince garlic and set aside. Measure out oregano and set aside. Wash eggplant, zucchini and tomatoes. Cut ends off of eggplant and cut into 1 inch squares. Repeat with zucchini. Peel and cut onion into large chunks. 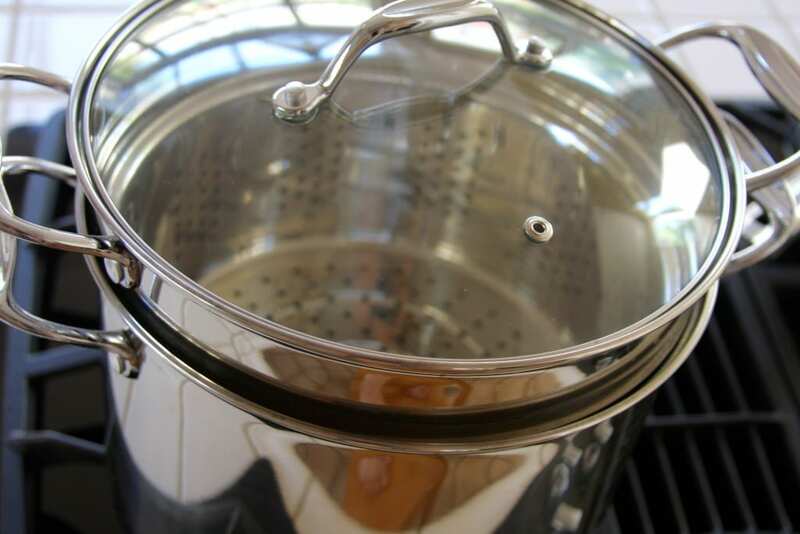 Bring approximately 1 inch of water to boil in the bottom of a steaming pot. 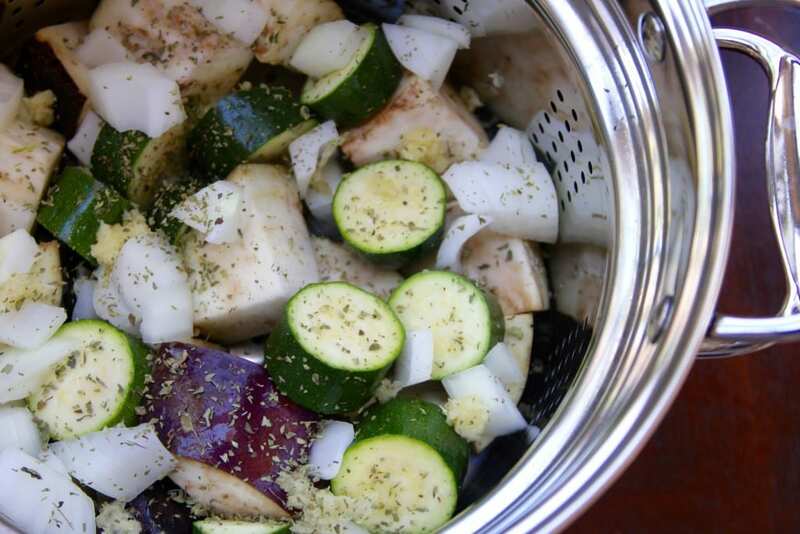 While water is coming to a boil, layer eggplant, zucchini and onion pieces in the bottom of steaming basket. Sprinkle approximately half of the minced garlic and half of hand crushed oregano over veggies. Layer again with the rest of veggies, garlic and oregano. Once boiling, place basket of veggies over boiling water. Steam for approximately 10 mins. Stir halfway through to bring veggies on bottom to the top. Cook to about 80% doneness and remove from boiling water to let cool. While veggies are cooking cut tomatoes into large chunks. Salt and pepper. Once steamed veggies are cooled to room temperature mixed with tomatoes. Salt and pepper additionally if needed. Make sure to cut veggies to most appealing size for you. If smaller pieces are used, adjust cooking times accordingly.